Aurealis Therapeutics – Smarter, safer and more affordable tissue regeneration therapy. Smarter, safer and more affordable tissue regeneration therapy. Aurealis Therapeutics, a Swiss-Finnish private biopharmaceutical company, is now entering the clinical trial phase with its patented three-in-one combination product AUP-16 for chronic non-healing wounds and other regenerative diseases. The genetically modified lactic acid bacteria based therapy is designed to improve the quality of life for patients who requires tissue generation for example with diabetic foot ulcer. This is remarkable advancement for people who generally have only had access to medicines that treat symptoms versus promote tissue regeneration itself. Millions of lactic acid bacteria acting as bioreactors in tissue, producing multiple therapeutic human proteins. Aurealis Therapeutics AUP-16 is a topical treatment that aims to promote tissue regeneration in patients suffering from non-healing chronic wounds. AUP-16 is designed to promote healing by producing therapeutic human proteins such as basic fibroblast growth factor-2 (FGF-2), interleukin-4 (IL-4), and colony stimulating factor-1 (CSF-1), to improve immune cell activation, angiogenesis and fibroblast proliferation. AUP-16 is produced under GMP conditions and analyzed using state-of-the-art methods to ensure identity, potency and safety. Prior to clinical administration, AUP-16 is made into a gel-like solution to secure the target dose and ease during application to the wound. 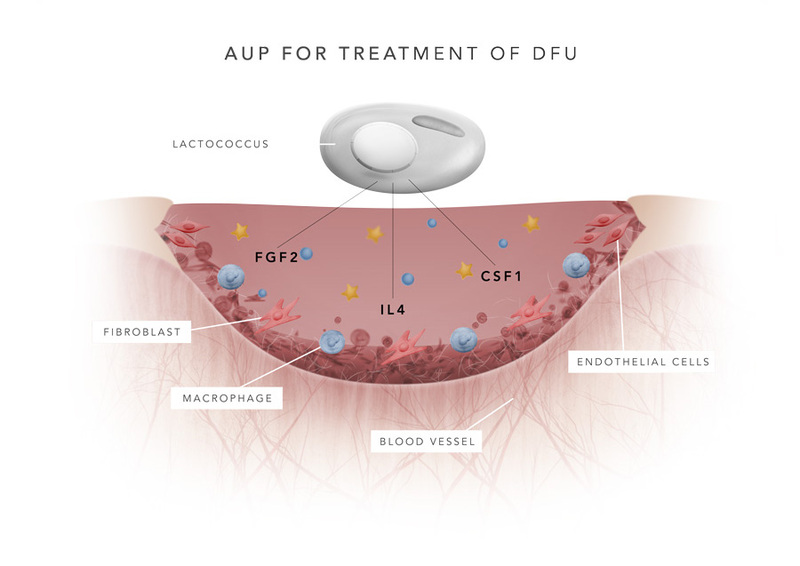 The first Clinical Trial Application (CTA) was submitted in Q4/2018 to the German Health Authority Paul-Ehrlich-Institute (PEI) to study AUP-16 in a first-in-human phase 1-2A clinical trial as treatment of diabetic foot ulcers (DFU). 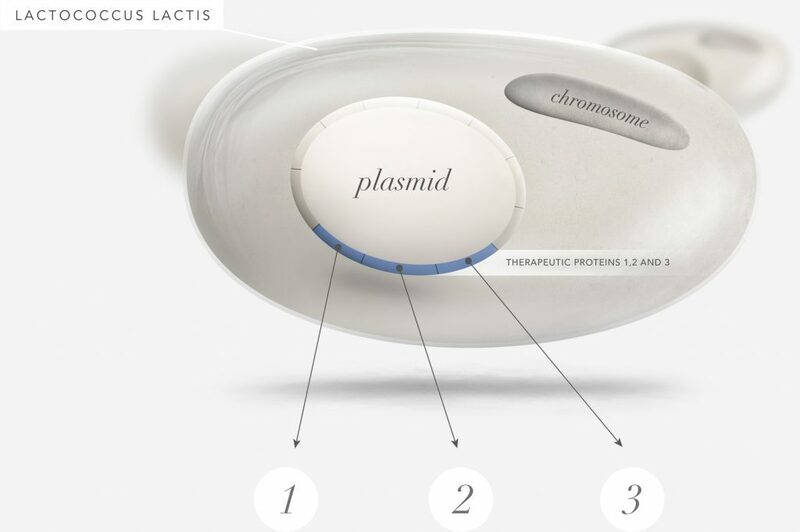 The Phase 2A part, an extension of the Phase 1, will be a multi-center, open-label, randomized, placebo-controlled study of the recommended AUP-16 dose and administration schedule from Phase 1 to confirm safety and to assess efficacy of the selected recommended phase 2 dose and schedule in DFU and potentially also venous leg ulcer (VLU) patients compared to a placebo arm. CTA approval is expected during Q1/2019 and the first patient expected to be treated during Q2/2019.